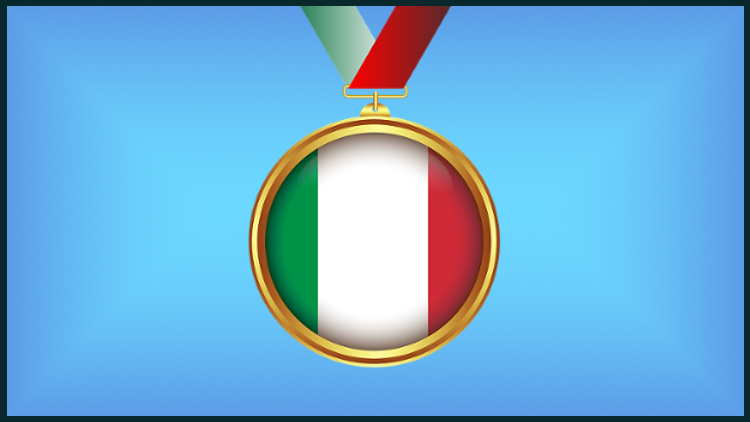 One of the questions people ask me often is how to effectively prepare for Italian language certifications. In Exam preparation: CILS, CELI, PLIDA and CIC, I provided a list of books you can use to prepare for CILS, CELI, CIC and PLIDA. They’re good books. However, books alone can only go so far. As a result, today I want to look deeper into the sections composing cils celi and plida. I’ll start from the listening section. I’ll explain some exercises you can do to score well at the exam. CILS, CELI and PLIDA exams have all a section dedicated to listening. The main differences between these examinations have to do with the time at your disposal to complete them, and the types of listening exercises. You can see these differences looking at the table below – for this article I took as a reference the materials prepared for levels B1. To know where to find free samples of CILS, CELI and PLIDA exams, please refer to Certifications of Italian L2 (part 1 – CILS and CELI), and to Certifications of Italian L2 (Part 2 – PLIDA and CIC). CILS – B1 30 min 1- multiple choice. 3- select the statements you heard from a list. CELI – B1 20 min 1- multiple choice. 4- select the statements you heard from a list. PLIDA – B1 35 min 1- matching. Listening has been one of the most neglected areas in language teaching. Indeed, it was considered a passive activity, and as such researchers thought that it couldn’t be taught. However, the position of researchers has changed during the years and nowadays they agree to say that listening is an active activity. If you think about it, it’s evident. Even when listening to a text in your native language, to fully understand it, you need to pay attention, or you’ll miss some passages. So, you need to take an active role. 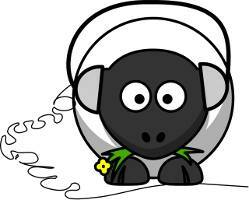 Now, listening is one of the most difficult tasks for language learners. In fact, even advanced users can find it quite difficult to fully understand movies or radio speakers. Why? Finally, the recording might be garbled. However, the fact that listening is an active activity means that you can train and improve it. You just need to know what the right exercises to do it are. Research has shown that when listening to a foreign language tape, our brain uses two types of processes to decode the text: bottom-up and top-down. Top-down processes are used to get a general idea of what the text is about. To do so, you grab hints from the context. If you’re listening to a conversation taking place in a travel agency, for example, you’ll expect to hear words like flight, room, breakfast included, package and so on. Bottom-up processes, instead, are used to focus on the language heard to create meaning. So, if you hear the words two, coffee, cake, please, you understand that you’re listening to someone who’s ordering his/her breakfast. So, to improve our listening skills to pass CILS CELI and PLIDA exams, we have to focus on both vocabulary and what we expect from a given context. The techniques suggested by researchers are pretty simple but, if practiced, they can really improve your listening skills. If you’re given some context, before listening to the text try to predict what the text you’re going to hear is about. In the samples of CILS, CELI and PLIDA used for this article, the context is rarely given. However, you can still deduce the subject of what you’re going to listen to. Indeed, all you have to do is reading both the questions and the possible answers carefully before the listening comprehension starts. Now, reading the question and the answers above, it’s clear that the text you’re going to listen to has something to do with the habits of Italians during Summer. In particular, about the relationship Italians have with money. After having tried to predict what the text is about, listen to the text once and see if your predictions are accurate. Could you answer all the questions? If not, move on to step two. As I said earlier, listening is one of the most difficult tasks for language learners. – Listen to the recording and write down all the keywords you hear. Do you fully understand what the passage is about? If not, listen to the passage a second time. – If after the second listening you still have problems to understand some words, listen to the passage at a slower speed – you can slow down the recording with any audio listening tool – i.e. vlc media player, audacity. Can you grab the sense of the text this time? If your answer is yes, you belong to scenario b. All you have to do to improve your listening skills is repeating these two passages. If your answer is no, you belong to scenario a. To improve your listening skills just add also the following steps. – Listen to the recording again at a normal speed while reading the transcript. Highlight the words you didn’t understood and go and check them up in a dictionary. – Listen the text one last time. In this third step you should combine the two techniques we’ve just seen – predictions and vicabulary. In addition to this, you should make assumptions while listening to the recording. To do so, you should ask yourself the questions: Who? What? Where? When? Why? How? Assumptions about the relationship between the speakers, the place where the speakers are, the subject they are talking about and so on, are very important because they can come in handy to both understand vocabulary, and choose an answer to the questions even if you didn’t understand everything that was going on. A word can have different meanings according to the context. The Italian word chicco, for example, may refer to a rice grain, a hailstone, to a popular Italian brand, or it can be the diminutive of Federico. Making assumptions allow you to decide what the meaning of a polysemic word is given a context. If you haven’t understood all the words used but you can make assumptions about what is going on, you have more possibilities to guess what the right answer for a question in the exam is. For example, going back to question 8 of CELI, given the context, if you have understood just the words riscoprire, and carte di credito/bancomat, you should have easily guessed that answer A is the correct one. I hope this article may help you to prepare for the listening section of CILS CELI and PLIDA exams. In the next articles I’m going to talk about reading comprehension, speaking and writing.